How does the immune system work to protect the body against diseases? What are the three line of defense? 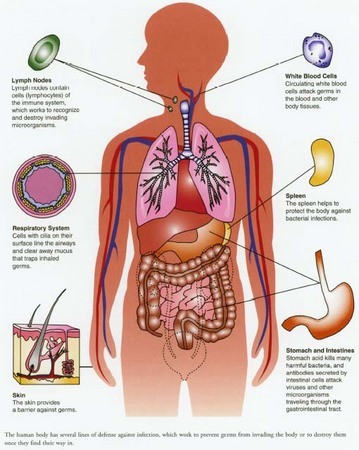 What causes an immune reaction (response)? How does your body react to an antigen? Click this link below to view the ppt. Click the link below to watch the video about the immune sys. I’m curious to find out what blog system you ave been using? I’m havin some small security problems with my latest blog andd I’d liike to find something more safe.